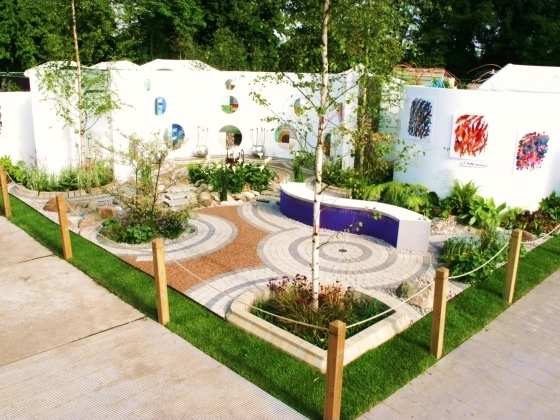 Resin bound gravel is becoming increasingly popular as an alternative to many of the tradition forms of paving. It can be used for a wide range of applications such as driveways, patios, conservatories, playgrounds, swimming pool surrounds, disabled access ramps, roof terraces and balconies. 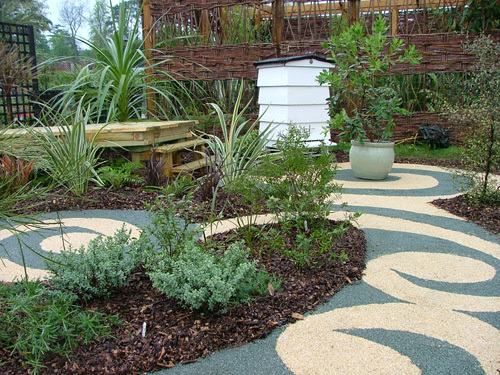 Resin bound gravel surfacing is a fully permeable SUDS compliant system and offers an environmentally sound alternative to traditional paving products. As rainwater management becomes a more topical issue and one which the public at large are becoming more aware of the use of a SUDS compliant surfacing solutions will take on greater importance. Our resin bound system offers a distinct advantage over other resin bound products in the market place; flexibility. The resin component used in our resin is unique because it has the ability to expand and contract under extremes of temperature. This means that the surface retains its integrity over a long period and is not susceptible to cracking. 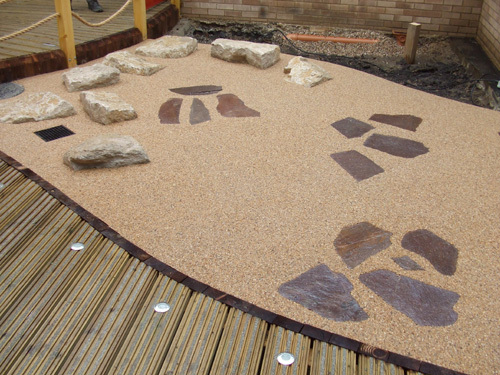 Resin bound paving is available in a wide range of aggregates and colours to suit any project. Put simply resin bound paving is a mixture of aggregates and resin combined with a hardener which forms a hard durable surface suitable for pedestrian or vehicular use. It is laid as a screed over the entire surface and has a smooth finish. 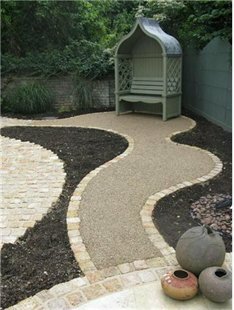 Resin Bonded Aggregate is where we apply resin to the prepared surface and scatter aggregate on top and remove the excess when cured. This gives a textured finish. What surfaces can I apply resin bound paving to ? Resin bound and bonded surfaces are generally laid directly on a prepared base of concrete or tarmacadam/asphalt. How quickly can I use it ? Our resin bound aggregate can be lightly trafficed for pedesterian use after 12 hours. It is recommended not to drive on it for a day after application. The resin component continues to strengthen over a number of weeks to form a completely solid surface.